If you want to achieve business success in 2019, you need to have a website with a purpose. 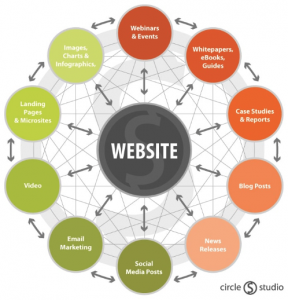 A purposeful website is one that is entirely geared towards your business goals. Beyond simply looking and feeling nice, it is designed to generate conversions, grow your subscriber list, expand your readership, or whatever your specific business goals might be. So how can you tweak your website to give it more drive? Here are my suggestions for making your website more purposeful. Over my years of entrepreneurship and blog management, I’ve learned that a website is not the be-all and end-all of a business. It is the nucleus at the heart of your business ecosystem, incorporating your email marketing, social strategy, paid ads, guest post backlinks, and so on. Your website is like a spider sitting in the middle of a web, your customers are the juicy flies that crawl towards it (albeit with a happier ending for them). For example, my own websites have a variety of paths leading to them: social media, email, guest blogs, landing pages, and so on. A purposeful website is one that fosters this ecosystem, drawing customers down your marketing funnel towards conversion. A strong website design should reflect this, designed in a way that facilitates the customer journey from start to finish. Look beyond your website at the paths that connect to it. These paths go both ways too. Visitors to your website want to visit your social profiles for third-party reviews and a taste of your brand personality. So too do they want to sign up to your email newsletter from your homepage. Make your website URL visible on your social profiles, and scatter links to your homepage, blog, and product pages in your emails to drive traffic to your site. Similarly, your paid ads should mimic your website’s branding and vice versa. Takeaway tip: don’t look at your website as a single entity. Instead, view it as the center of your business network, and ensure the paths flowing to and from it are friction-free. A purposeful website should work for your customers, delivering a positive UX and providing a seamless experience from start to finish. But it should be just as fluid and intuitive for you as it is for your customers. As entrepreneurs, we need to be able to manage our websites with ease, wherever we are. If you can’t manage your website effectively, you will struggle to craft it in a way that drives conversions — it will not fulfill its purpose. Consequently, I recommend choosing a content management system that helps you build a site with a purpose. From popular blogging platform WordPress to dedicated ecommerce solutions such as WooCommerce. These are intuitive and easy to use, and offer plenty of scope for creating a purposeful website. 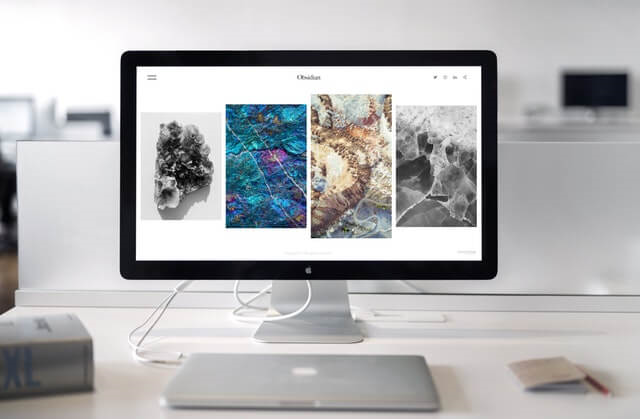 For example, most good site builders provide drag-and-drop design interfaces, which in turn let you create landing and product pages that hook customers and drive conversions. Similarly, the content management system you choose should provide for a variety of payment gateways. This streamlines the customer journey, helping you meet your business goals through design. Takeaway tip: my advice is to choose a content management system that has the perfect blend of functionality and usability. Its features should support your business model, helping you grow your store and connect with your customers. Did you know? Our first impression of something is 94% design-related. When a customer arrives at your website, your design should look and feel slick and professional. But your web design is about more than pure aesthetics. Yes, an attractive-looking business website is important. But so too is a design that fosters conversions. Take the example of family and baby gift store Cole & Coddle. Prospective customers arriving on the homepage are immediately met with a selection of the brand’s best-selling products. At first glance, this might seem like a simple design choice to show off various Cole & Coddle products. But by deliberately showcasing the products that are most popular, the brand increases its conversions. And the strategy works — the brand generates an average of $121,490 per month as listed on Exchange. When the products that are most likely to be sold are placed front and centre, you shorten the customer journey and conversions shoot up. Takeaway tip: your web design should play into your customer psychology. Make the most pertinent products or information easy to find, and you will naturally generate more conversions as a result. While your website’s purpose should be reflected in your site design and structure, so too should it be embodied in your website’s story. I believe that a site’s purpose should be entwined with your brand’s purpose, weaving a narrative throughout that solidifies your message in your audience’s minds. To accomplish this, you need to give your website a human element that connects with your target market on a personal level. Let’s look at your copy. How you write on your website should be personable and informal — even a business website should adopt a natural, conversational way of speaking. Take this personal approach further by addressing your target market’s pain points and providing a solution to them. Tell a story with your customer at the center, highlighting the problems they face. Position your product or service as the solution to those problems. For example, let’s say you sell online courses helping people develop healthier eating habits. How would you market that? As a customer, I don’t want to read about an online course that helps everyone live healthier — I want to know how it will help me. So tell a story about one specific customer, and make it real to them. Takeaway tip: when you write your website’s copy, don’t write for everyone — write for one specific person. Write as though you are speaking to an individual in person, rather than addressing your entire audience. By making your purpose clear to one person, you make it even clearer for everyone. When your website goals are aligned with your business goals, you will enjoy more conversions, a lower bounce rate, and increased customer value. Follow the tips above and create a purposeful website that serves your business time and time again.